Based in Bramhall, Cheshire, SCZ Electrical Services is a leader in quality domestic electrical services in the Cheshire and South Manchester areas. 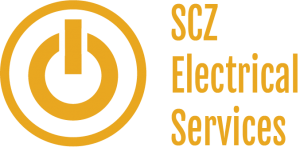 With an emphasis on relationships and customer service, SCZ Electrical Services leads the way for excellence with experienced electricians and high quality electrical workmanship. From installing lights and consumer unit upgrades to whole house re-wires , SCZ Electrical Services is thorough from your initial enquiry to completion. Our focus has always been on giving our clients the best possible experience in residential electrical services. We take our reputation seriously because we care about having a positive impact on the communities we serve both in and around Bramhall. We have always believed that if we focus on quality and treating our clients with respect, we will retain and enhance the high reputation that we have gained over the years. This philosophy has served us well since we began in 2014, and continues to be the foundation of our success, year after year. Steve Crozier, the founder of SCZ electrical services, has worked for himself in the electrical industry for 20 years, before setting up SCZ Electrical Services. Steve believes that it is this experience that ensures the quality of the company’s work. You can read more about previous work and the setting up of the company on our About Us page. SCZ Electrical Services are committed to providing a leading electrical service to a wide range of jobs in the Greater Manchester and Cheshire regions. Visit our Services page to see how we can help you. So, if you’ve been thinking about upgrading your fuse box to a super safe consumer unit with RCDs or RCBOS, adding or replacing sockets with USB outlet,having new lighting with smart controls , or you have an annoying electrical issue that no-one can seem to figure out, look no further. Our qualified electricians can exceed the plan to complete your dream home. You can also connect with us on social media or sign up to our email newsletter for handy solutions to some tricky problems.